Simulation provides key insights into system behavior and performance, especially with design optimization and validation. However, there are many instances where simulation or design exploration is not applicable because of limited computational resources. Artificial Intelligence (AI) is a promising approach to help reduce the less important simulation scenarios by studying the existing simulation data. Many different machine learning algorithms are applied to train an Figure 1. A typical scenario to test an autonomous driving system using VTD AI-model, such as decision trees, random forests, fuzzy logic, Markov decision-based artificial neural networks DQN (Deep Queue Networks), and various other refinements beyond DQNs. In many instances, an AI-model is not required to have the same fidelity as an actual simulation model, since most engineers simply expect the trained AI-model to be better and more consistent than the engineering judgement or simplified (reduced order) models. When there is not a sufficient amount of physical data available, simulation generates the simulation data to train a reliable AI-model. Our Artificial Intelligence team at MSC Software focuses on applying AI technologies both on the existing simulation data and also on strategies to generate simulation data in the AI process. With AI-sampling, we are developing a solution to handle this huge “event space”. The basis for AI-sampling is a parametric and modular scenario library, which allows the creation of a broad set of individual test cases. 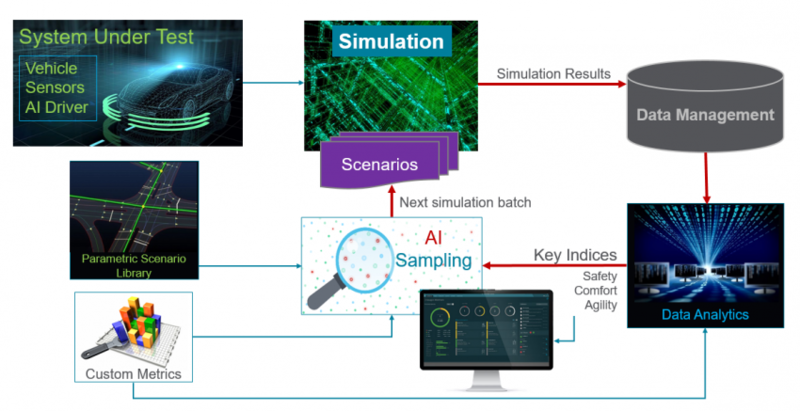 The simulation results are analyzed and classified on their relevance and diversity, and then used in the AI Sampler as inputs to create a more refined test case set with each iteration. This test case set represents all the different behavior patterns to be tested, verified, and applied to analyze the simulation databases on their relevance. By applying this iterative process, AI Sampling can learn how to optimize the test set and create a feasible and relevant set of test cases, which covers all the different situations that can occur. Creating the Predictive Models: We refer to the predictive models as “AI Twins”. AI Twins can predict the outcome of simulation studies and can be used in the product development lifecycle when performing the traditional simulation is too costly or takes too much time. 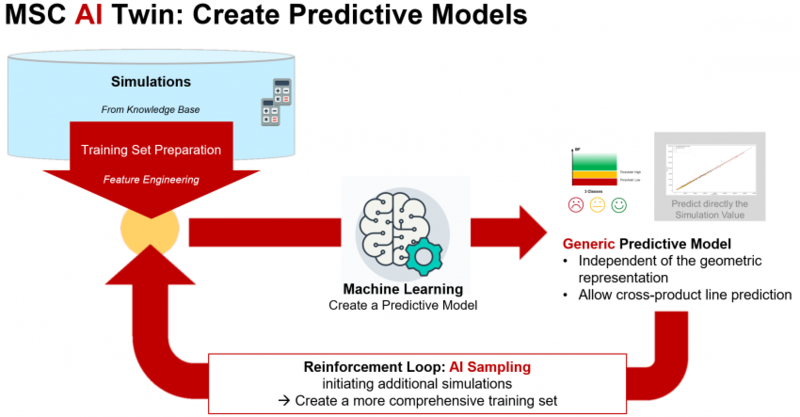 Our AI team at MSC Software is working with the goal to train AI to learn from simulations, to extend the knowledge over time, and dramatically increase the performance and efficiency in the modeling process. Applying AI and machine learning tools in the technological applications can enhance simulation efficiency, improve product quality and reduce production costs. 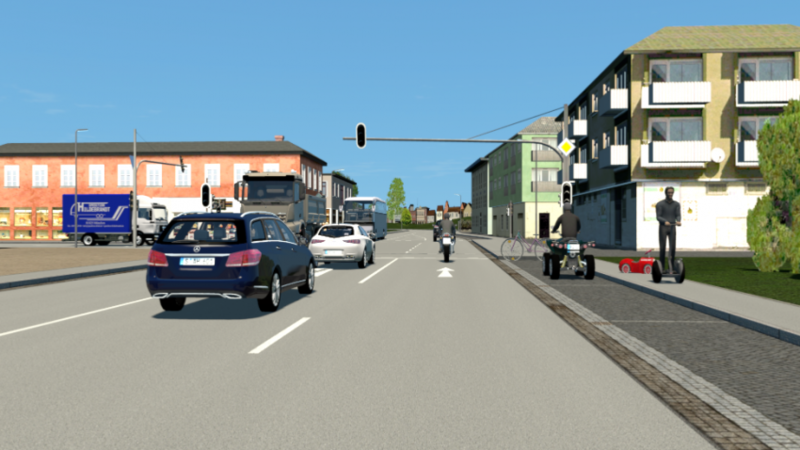 AI Sampling will automate the simulation generation, sample the constantly growing design space, and help autonomous driving developers to capture the millions of scenarios that are needed to achieve level 5 autonomy.